A non-fan posted the following account on DC Gallery after meeting Jaejoong at the Blue Dragon Awards. Wow, Kim Jaejoong was really handsome with perfect skin. He is also quite tall and slim and has eyes so big that before I knew that he was Kim Jaejoong I thought that maybe he was a foreigner!!!! 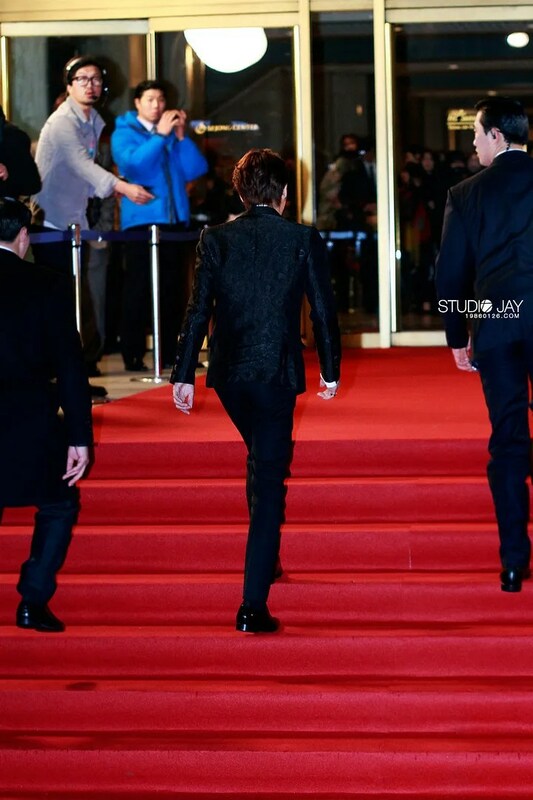 As he was climbing the stairs people were shouting ‘Kim Jaejoong!’ so he turned and waved with a big smile on his face. I was on the front lines and..wow…I had heard before that he was an idol who sang songs well, but seeing his face, it was like a sculpture. Even though he had his staff and friends standing next to him, it was like his face was shining and made everything else be at standstill. And those big, big eyes…that kind of face shouldn’t belong to a human!!! Really, his skin was also so white and glowing that when I saw him his name automatically came out of my mouth as a scream. So I was screaming “Kim Jaejoong” along with his fans. And he was really all that I could see to the point where I did not even pay attention to the other actors that were there. I am very sorry towards them!!! 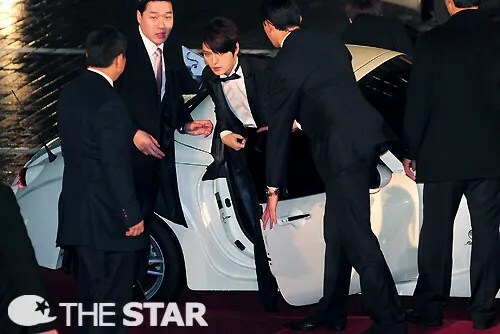 Even more handsome than a normal idol, Kim Jaejoong had the aura and the incredible looks of an actor. 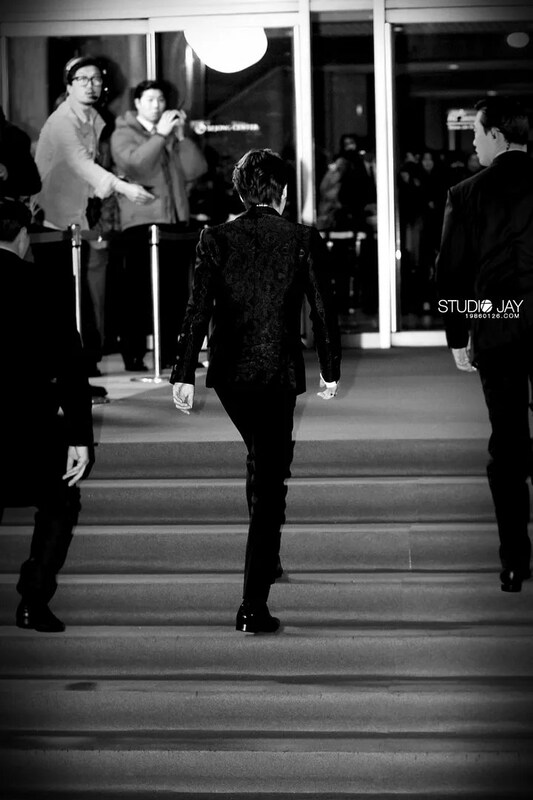 Among the other actors and reporters and staff, he stood out so much. He’s truly handsome and has the glowing white skin that I am really envious of. After I saw him live I wanted to write this report for JYJ Gallery. I wanted to make it longer, but in my excitement it seems all I can remember is his enviable skin and amazing looks. Really, he did a good job in making an impression. I hope I can see the handsome and modern Jaejoong again and again. Also I owe an apology because in my nervousness and excitement I posted this on the TVXQ Gallery first by accident, but I deleted it immediately. After looking at the posts and comments on there and learning about JYJ’s new freedom, I came and posted this here. I am along with all of you now celebrating JYJ being able to follow their dreams!